High Park Farm occupied about 41 acres of land to the east of what is now High Park Avenue. In 1848 the sale of Wollaston Hall, Wollaston Rolling Mill and two farms, Eggington and High Park, was held on 25th January at the Talbot Hotel in Stourbridge. 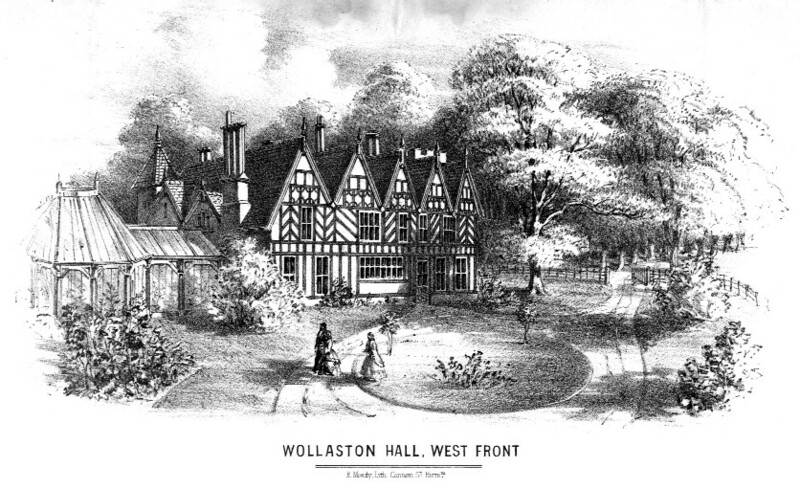 Wollaston had been part of the Foley lands until 1809 when it was sold to the Earl of Dudley. The tenant named in the sale document was Charles Grazebrook but he did not work them himself and in the 1851 census the occupiers of the farmhouse were Sarah Grosvenor, a housekeeper, and Thomas Bewley, a farm labourer. 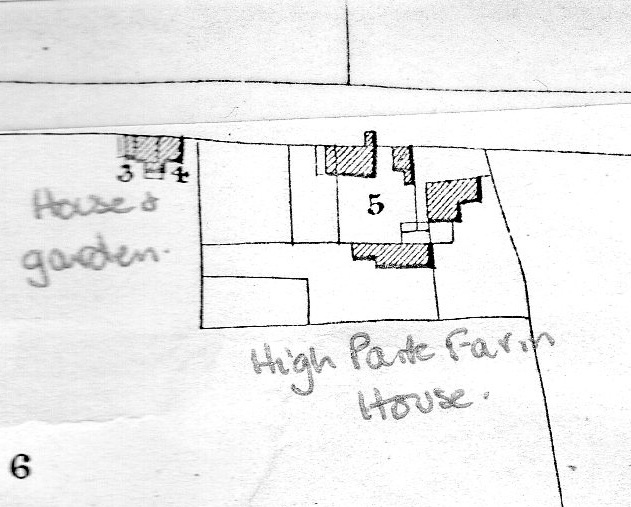 The next two entries are for farm labourers and they were probably numbers 3 and 4 on the map. The numbers on the map refer to the farm house:- 3 - House & garden; 4 - house & garden; 5 High Park Farmhouse, yard, garden & buildings.